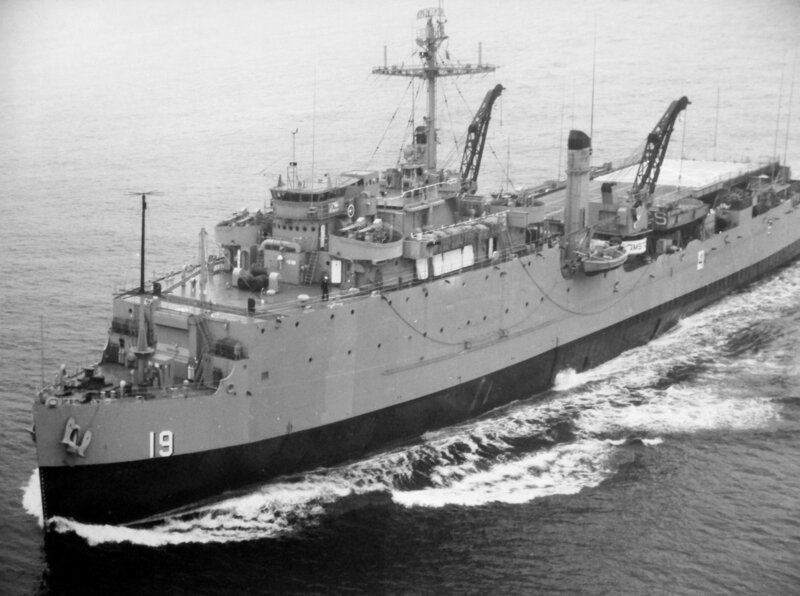 Launched, 28 April 1945, at Newport New Shipbuilding and Drydock Co., Newport News, VA.
Decommissioned, 7 April 1970 at Bremerton, WA. 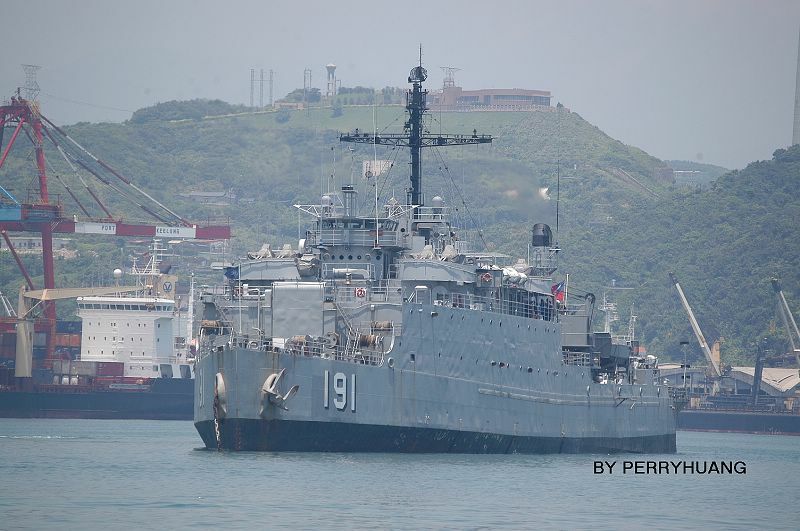 183k RADM. 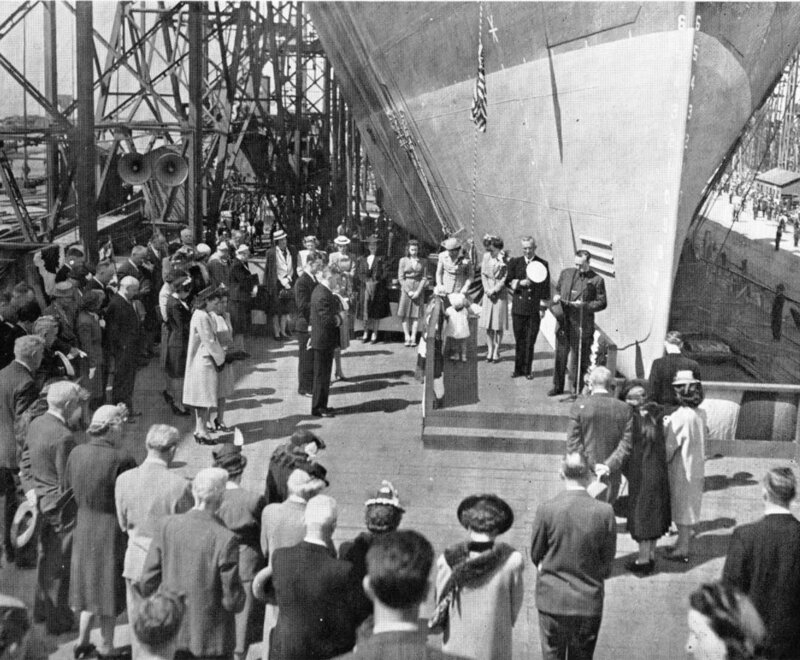 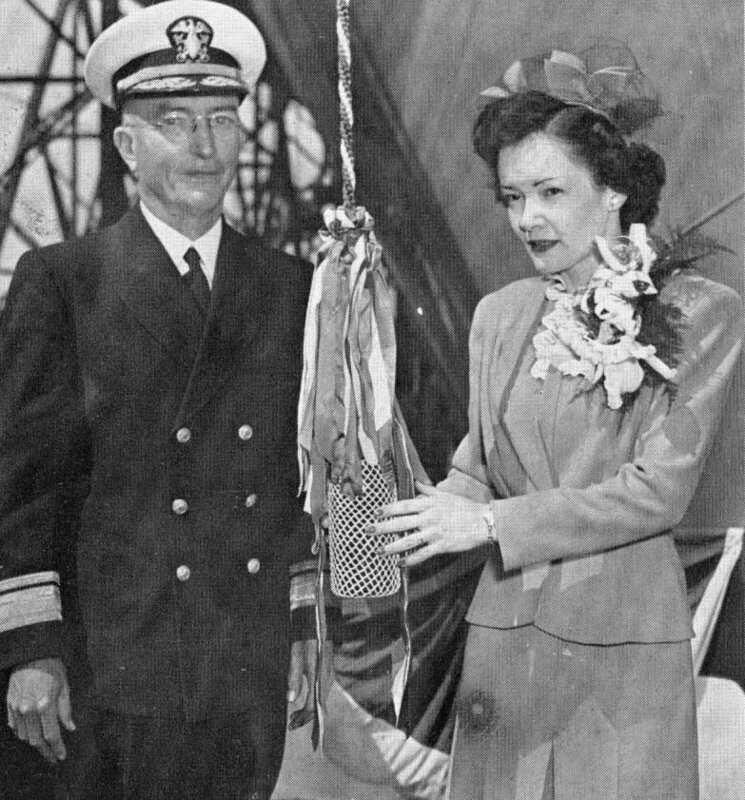 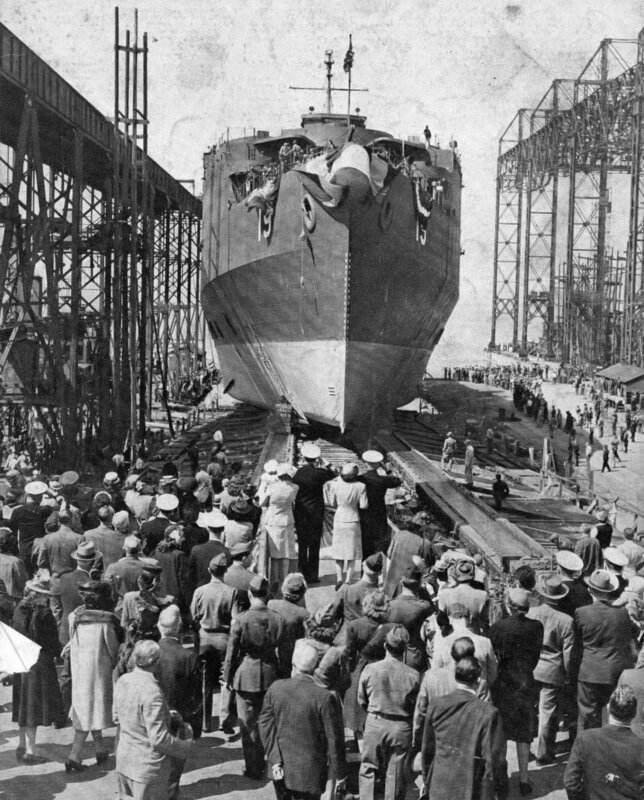 O. L. Cox and his daughter, Mrs. Henry O. Redue, Jr., sponsor of Comstock (LSD 19) prepare to Christen the ship, 28 April 1945, at Newport News Shipbuilding and Drydock Co., Newport News, VA.
355k Comstock (LSD-19) launching ceremony, 28 April 1945, at Newport News Shipbuilding and Drydock Co., Newport News, VA.
692k Comstock (LSD-19) slides down the ways, 28 April 1945, at Newport News Shipbuilding and Drydock Co., Newport News, VA.
521k USS Comstock (LSD-19) under way near Vancouver, B.C., 1 July 1947. 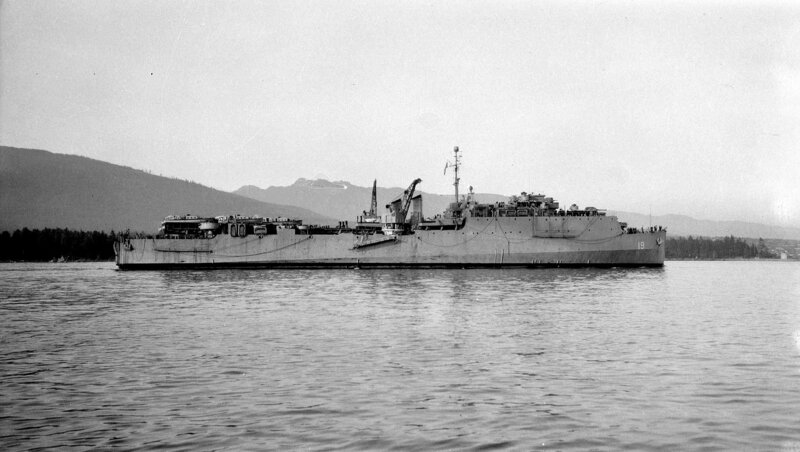 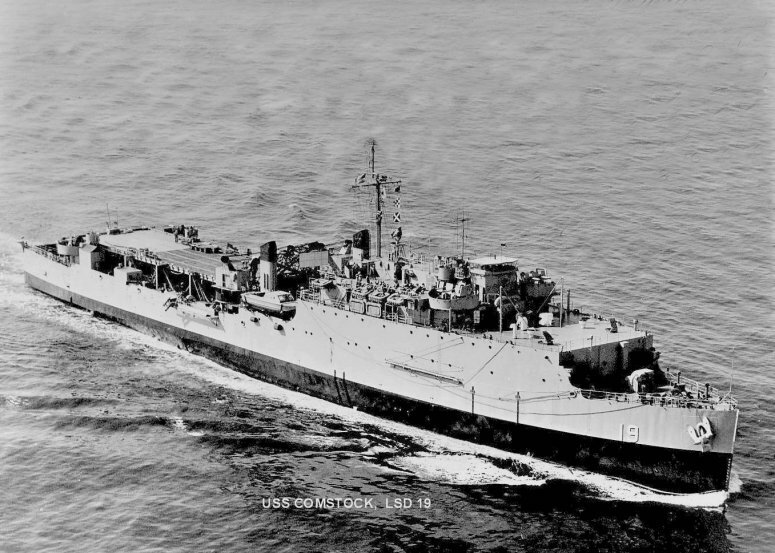 692k USS Comstock (LSD-19) under way in the Chinnampo area of Korea, 20 May 1951. 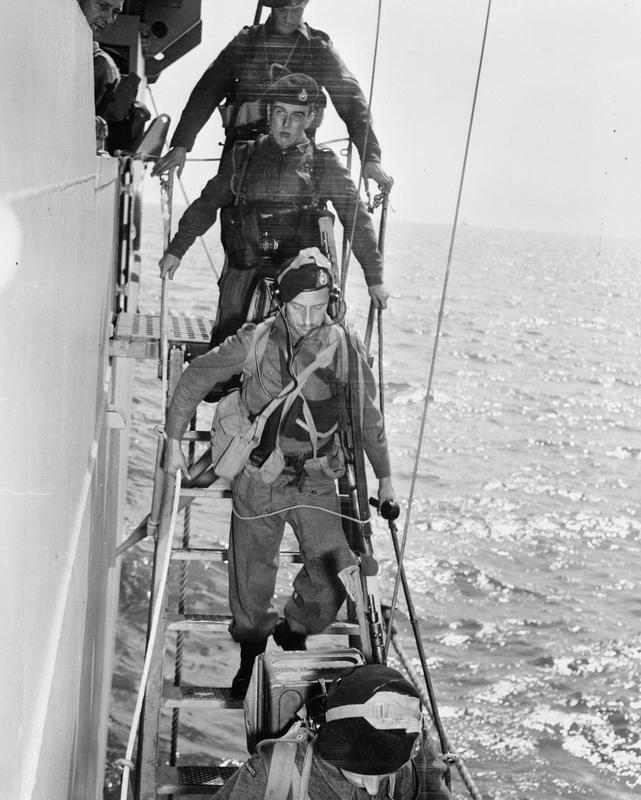 95k British Royal Marines boarding USS Comstock (LSD-19) landing craft to carry them to the landing beach at Chinnampo, Korea, circa 1950-53. 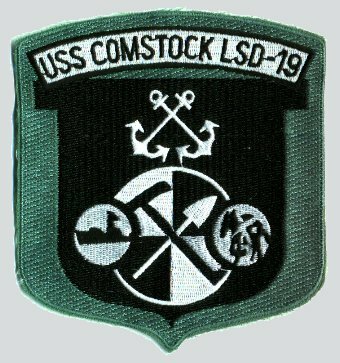 109k USS Comstock (LSD-19) in bound San Francisco Bay, June 1957, enroute to a shipyard at Alameda for an extended overhaul. 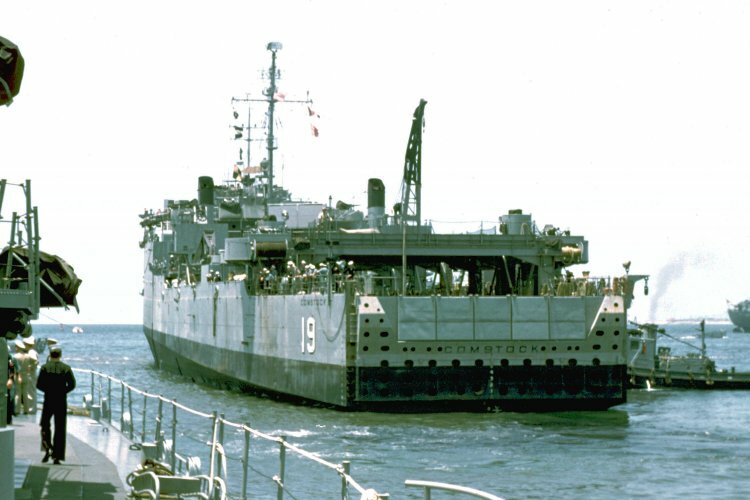 113k USS Comstock (LSD-19) at anchor off Chu Lai, South Vietnam, June 1965, with her stern gate down. 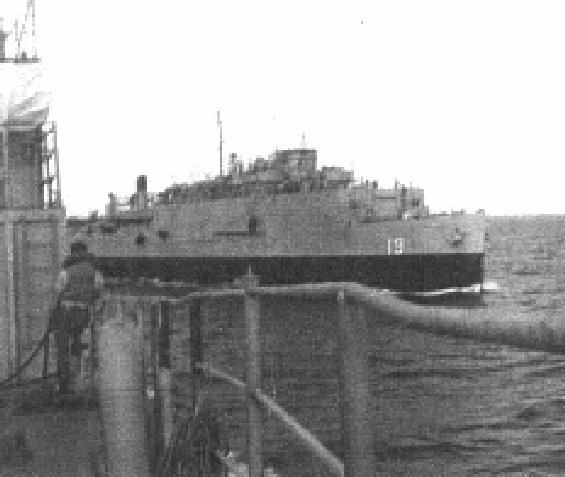 She has not yet flooded her ballast tanks to bring the well deck under water. 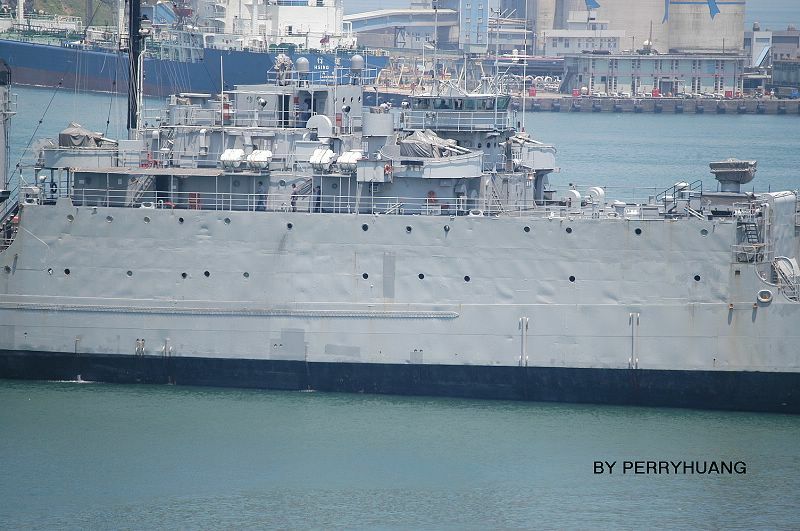 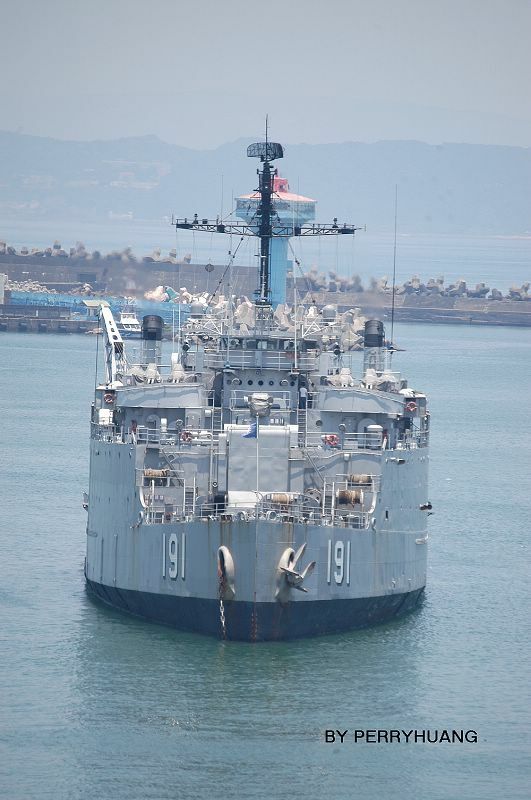 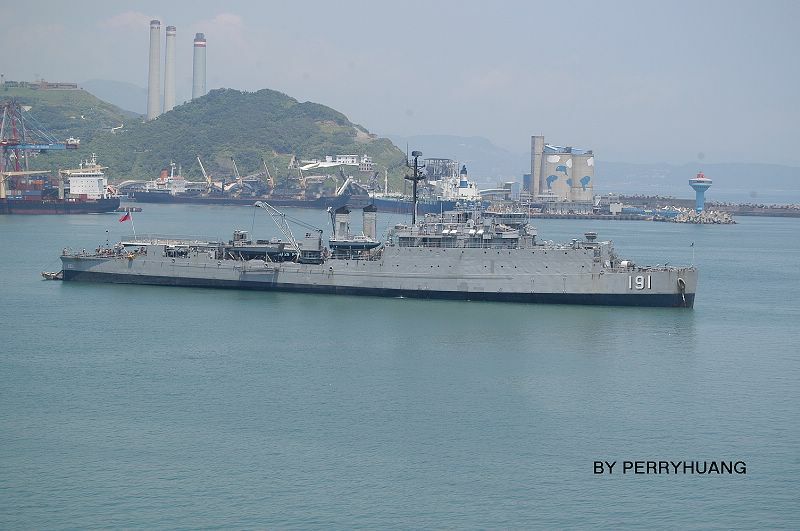 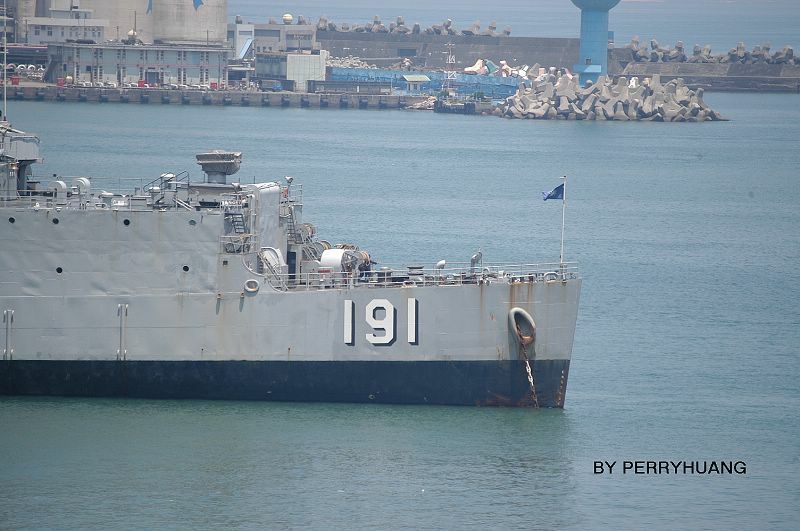 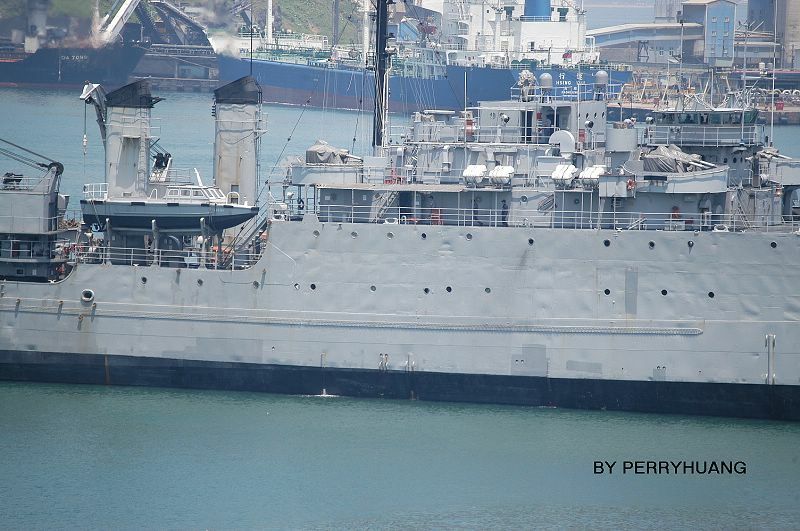 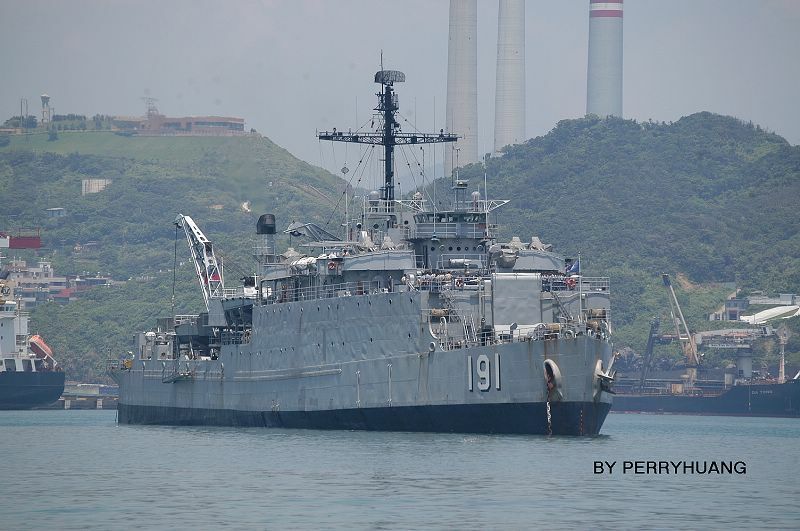 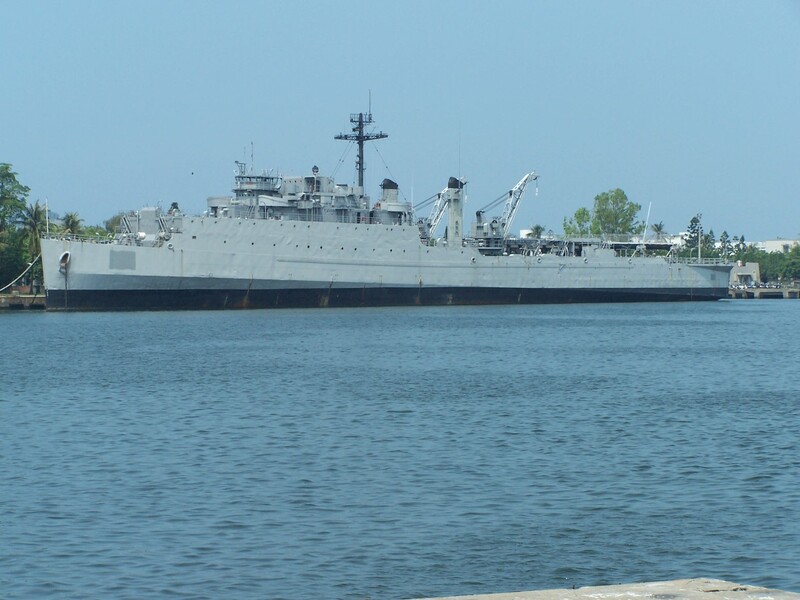 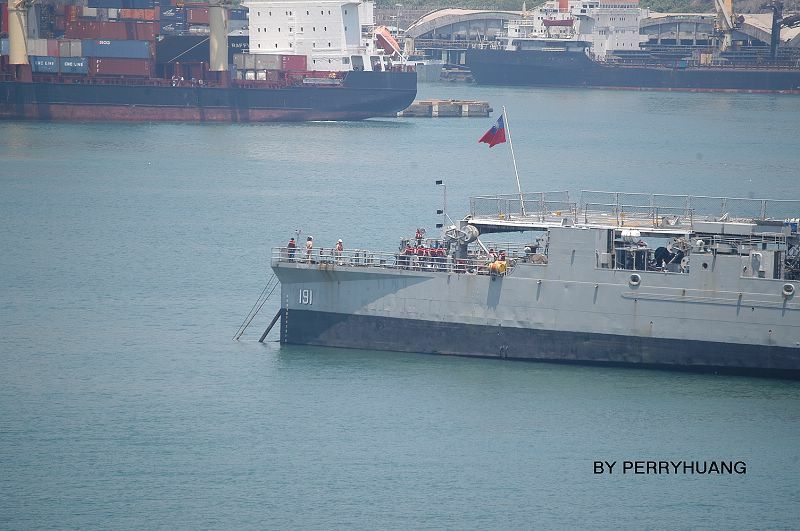 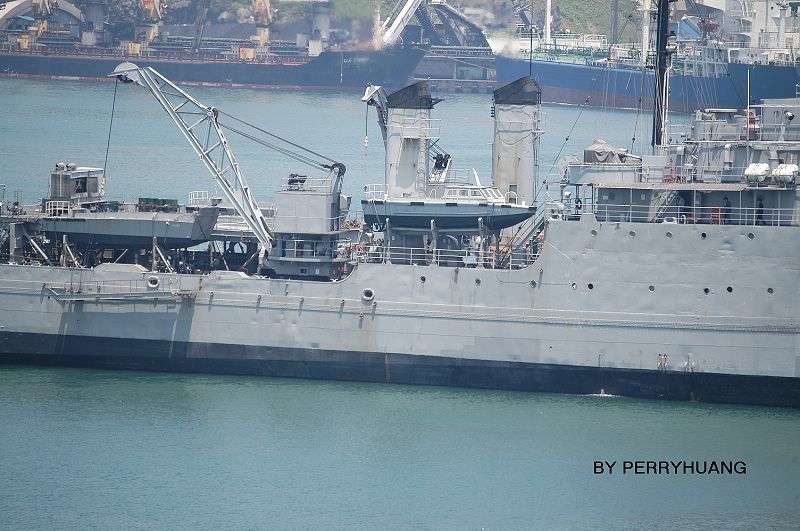 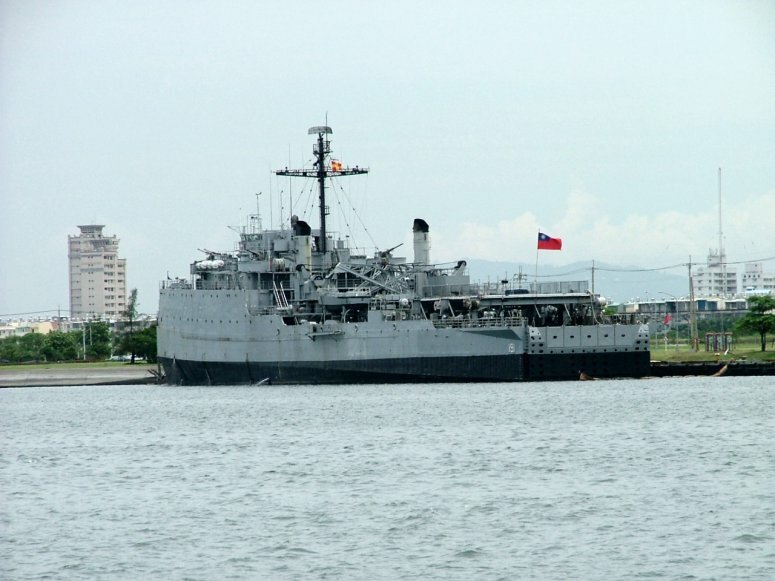 Alongside is LCU-1481. 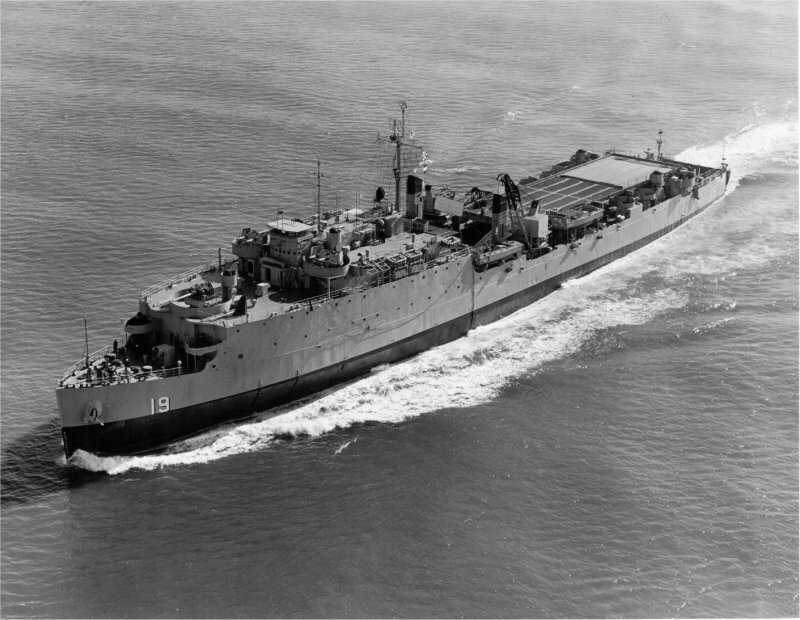 Note the superdeck fitted over the well deck for the carriage of additional vehicles. 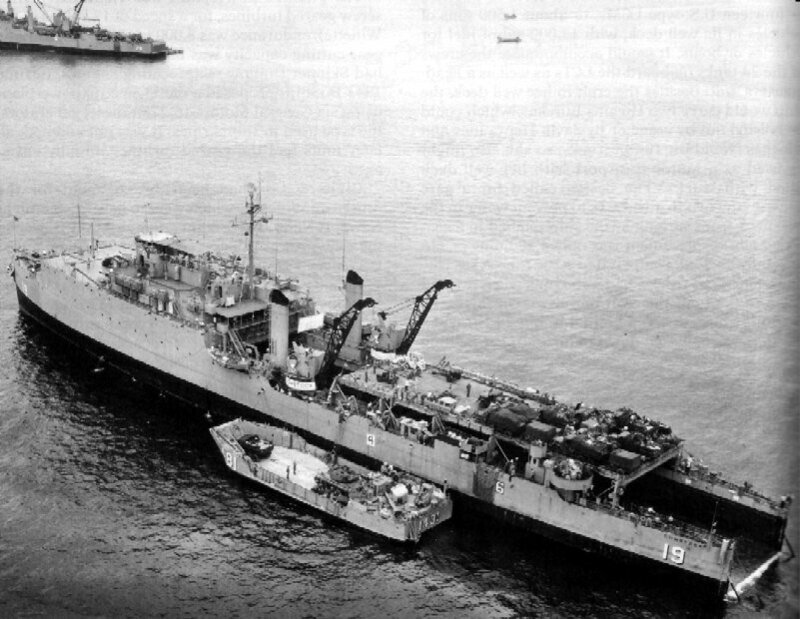 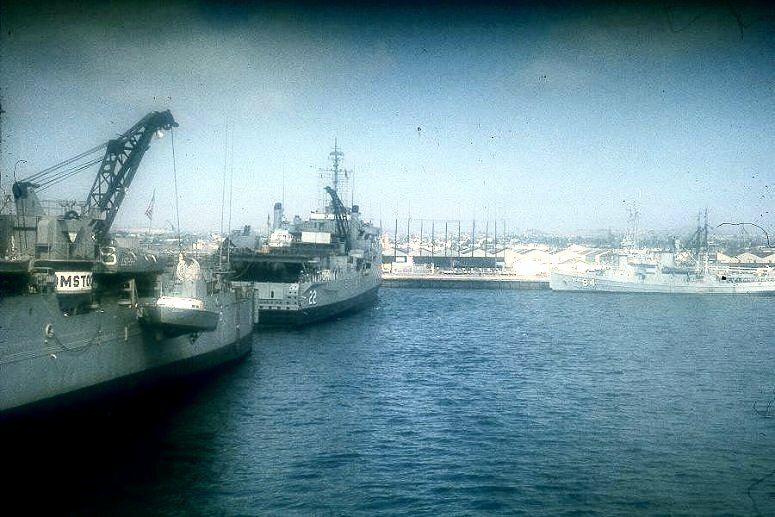 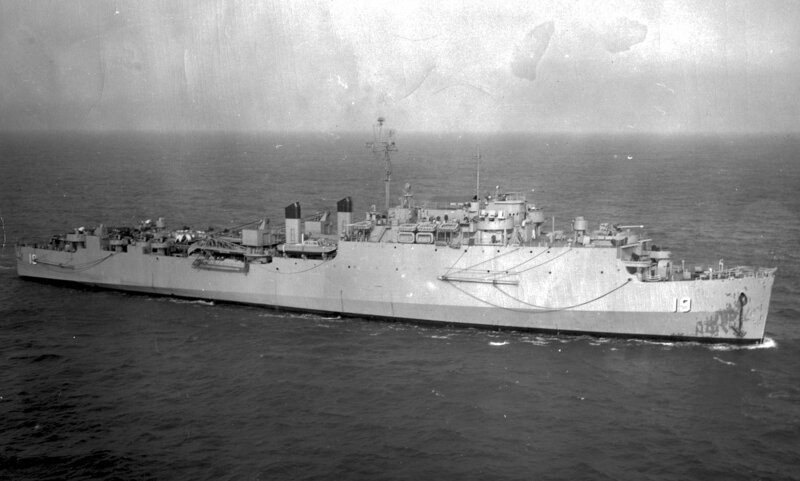 In the background is USS Thomaston (LSD-28), with her stern gate still raised.